General Conference was so inspiring! I have been basking in the beautiful and inspiring words we received for the past couple of weeks. It's easy to move on with life and forget the ideas that filled our minds and the inspiration that filled our hearts during conference, so I try to go back to my notes and keep them on my mind over the six months between conferences. I listen best when my hands are busy, it's a real struggle to sit still and just watch a movie. 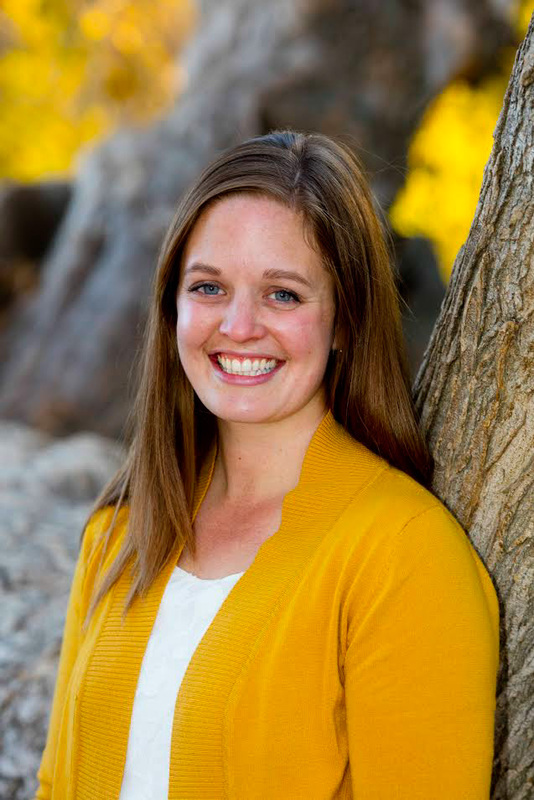 So you can imagine it would be difficult to sit and just listen to all 8-10 hours of General Conference. That's one of the many reasons why I adore sketchnotes. I get to hear words of inspired leaders and make something pretty at the same time. 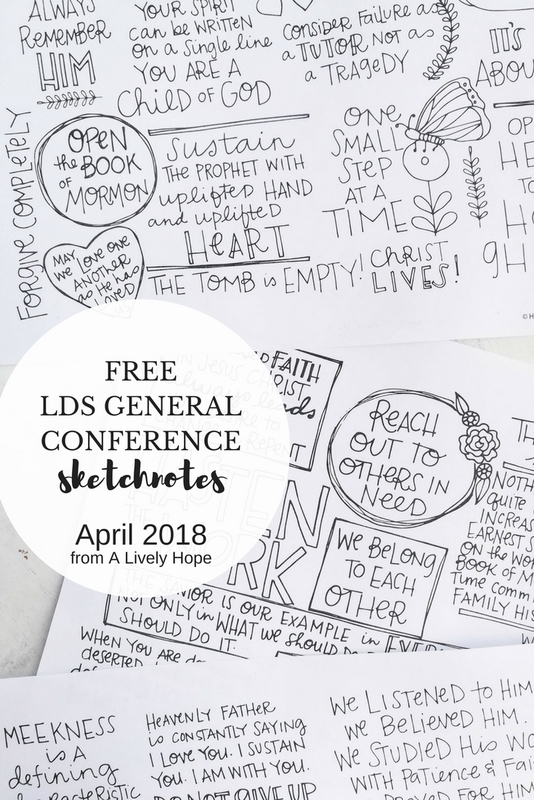 Today I've got the sketchnotes from the most recent session of conference ready for you to download. These are the quotes that were meaningful to me. I tried to include one for every talk given during the general sessions of conference, but it's definitely possible that I missed one. Hang them up as a reminder of the most recent counsel we received. Print them (sticker paper works well!) and add them into your journal. 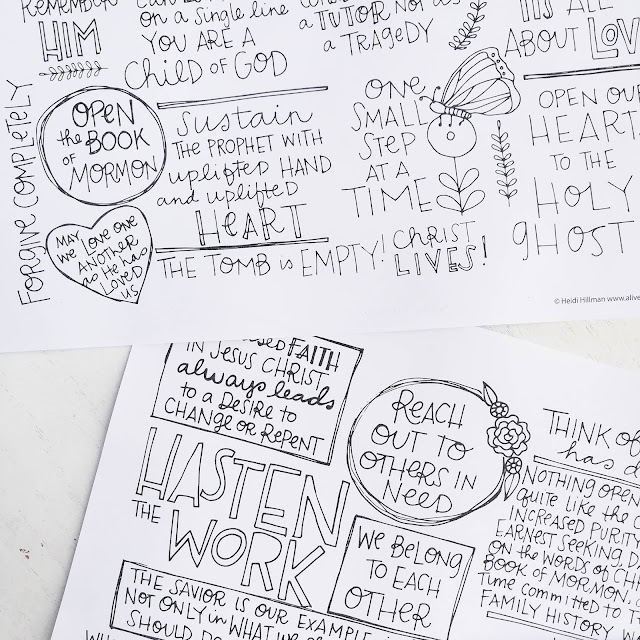 Hand out to class members in your Youth or Relief Society lesson. Do you take notes during conference? I'd love to see them! Tag me on Instagram so I can see your work.